Filed Under: Dappered Classics, Shoes Tagged With: infographics! I can proudly say that I knew all this from various Dappered posts. I’ve seen the word “adelaide”(SP?) thrown around. What are those. Also spectator vs. saddle shoes? Joe, this was extremely helpful. Thanks! Same, but it makes it easier to explain to others, which I happen to have had to do 3 times this week. And it’s only Tuesday! Do you work at a shoe store? A wingtip is essentially a cap (extra layer of leather) that swings around the base of the quarter instead of staying just on the toe. A longwing is a type of wingtip where the cap extends the full circumference of the quarter. Any shorter, and it’s a normal wingtip. Spectator shoes (or co-respondent shoes) are Oxfords with two contrasting parts and a decorated toe. They were originally designed as a fashion shoe for playing cricket. On the other hand, saddle shoes are traditional sport shoes that have decorated pieces of leather over the midfoot region of the upper. This piece was designed to take some of the stress during sports. Note that the main difference between these two is that the spectator shoe has a toe cap (or wingtip), while the saddle shoe has a midfoot cap. Not sure what an Adelaide is. TL;DR: Blake construction goes through the soles. It’s lightweight, but susceptible to leaking. Blake-rapid puts another outer sole over the Blake construction and adds stitches along the outer rim of the welt. Thicker, but doesn’t leak. Goodyear uses a welt strip to attach the outer soles to the body of the shoe. This creates a void that is often filled with a cork bed (like the ones you find in AE shoes). Bulkiest construction. An Adelaide has brogueing around the lacing. Some Adelaides may have brogueing on the heel counter as well, though I’m not sure if that’s indicative. AFAIK, all wingtips are brogues, but not all brogues are wingtips. Haha I guess I was counting Saturday. I kind of work as an amateur style consultant. Precisely what I do! And I have no idea how that came to be. Crossing the streams (pond?) with that one, picking one US and one UK. Or, maybe not since Blucher is really a Prussian term so it’d stay on the same continent and… aw hell. Umlauts. This is fantastic; love the tone and the illustrations. The only thing I’m still foggy on is what the technical difference between a full- and half-brogue is. The only difference I can see between the examples is cap-toe / wingtip. Don’t forget longwings vs shortwings! AHHHHHHHHHH!!!!!! NO. MORE. INFORMATION. Ha! Yeah, that just might have been the inspiration for my choice of terminology too. See, Joe…? Look what you’ve done! I knew all this before, but this is one of the best articles/infographics I’ve ever seen on the topic. Kudos! I think I am going to have to excuse myself to the “Drink” section for a bit. Take. These broken wings. And learn to fly again. Do oxford longwings exist? Or is this some sort of limitation with the design of longwings? I feel like all that I’ve seen have been bluchers, (such as the MacNeil in the illustration). what shoe is the blucher in this image? Was wondering the same thing. Thanks for the answer. Bingo! It’s not just an American/English language thing. 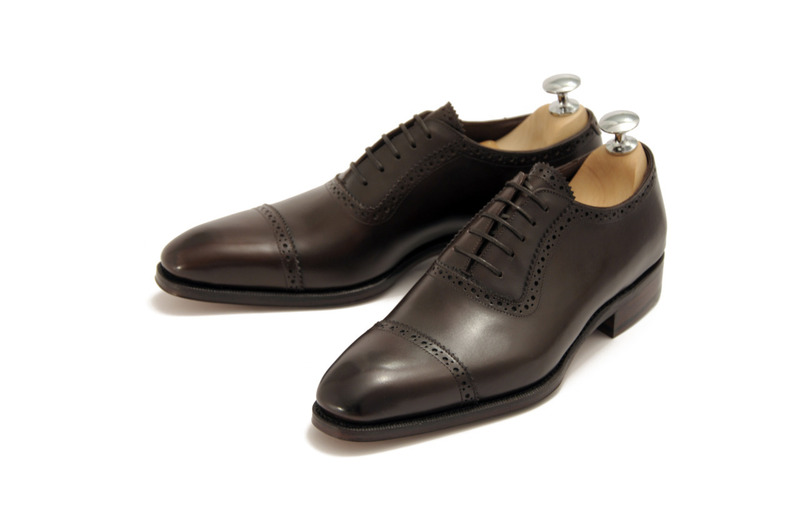 Balmorals, like Adelaides, are specific types of oxfords. That’s some might fine handwriting you’ve got there, friend. Additionally, many cobblers will not know how to re-sole a blake or blake-rapid stitched shoe. Almost all cobblers will know how to re-sole a goodyear welted shoe. The name must be toungue-in-cheek. 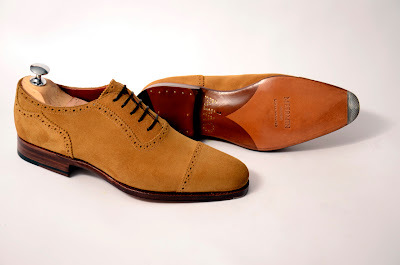 The word “brogue” literally refers to the holes, the “broguing”. The tools that punch those holes are called “broguing tools”. So I suppose an austerity brogue is too austere to afford any broguing.